Storing and analysing big amounts of data is not the differentiator of successful companies in the process of decision making anymore. Today’s world is about how fast decision makers are provided with the right information to be able to make the right decision before it’s too late. The thing is, many companies see implementing streaming analytics platform as a very challenging and costly project. It is mainly because when talking to advisors or consultants, they are usually presented with a very complex architecture that needs a lot of effort and money to set it up and get it going. Everyone who has worked or is working in the field of Big Data have heard of Kafka. It’s the backbone of any streaming application and solution and was invented because in most streaming cases the speed at which data is generated in source is a lot faster than the speed at which it is consumed in the destination. Therefore Kafka topics are required to act as a buffer and get hold of the records until they are read by the consumers. Like any other streaming solution, we’re going to use Kafka here as well. But not any edition of it, we’ll be using Confluent Kafka. Confluent has not only put great add-ons around Kafka and made it a lot easier to be deployed and managed, they are the pioneer in stream processing. 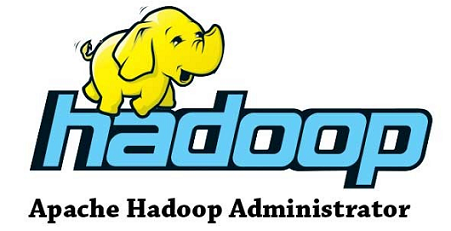 Furthermore, it scales very efficiently and is able to work with very fast and very big data without any hiccups. The most interesting component in Confluent platform for me is KSQL. It provides SQL on top of streams of data. And that sounds like heaven for someone like me who has spent most of his professional life writing and optimising SQL queries. And I love the logo too! The next layer we need to implement in this architecture is the ingestion and storage. There are different tools in the market that are able to ingest data in some level of real time like Nifi, StreamSets and maybe Talend. And then for the storage, depending on on-premise or cloud preference, HDFS or Object Storage are the options. The number one factor that I always consider when suggesting a solution to my clients is integrity and homogeneity in all layers of the purpose-built solutions. And when it comes to streaming where performance is the number one factor, I can’t think of a solution more reliable and faster than MemSQL. If you’re curious to know how fast the database is, watch this video. And be prepared for your mind to be blown! The rest are Persistent Computed columns in the table that are computed and populated when each JSON record lands in the table. This is another cool feature of MemSQL, makes it incredible easy to parse JSON data without the need to call any additional script or coding. And start querying your MemSQL table. You should see records ingested in there as they are produced into Confluent Kafka topic. There are so many visualisation tools out there in the market, some of which claim they can visualise your data in real-time. But none of them can truly achieve that. Why? Because they all need to take custody of data to be able to visualise it: each and every record needs to be moved to the server where the visualisation engine runs, processed there and visualised to the users in form of graphs and dashboards. There is one visualisation tool that is different from every other tool in the market in that it pushes down the query processing to the source where data is stored, and that is Zoomdata. Zoomdata doesn’t move data. It doesn’t take custody of the data. How does it work? glad you asked. Zoomdata’s smart query engine takes the query that is meant to grab the data for the dashboard, applies its knowledge of the underlying data store and metadata about the tables involved in the visualisation, and breaks the query into many smaller queries called Micro-Queries. The idea is that instead of sending a big query down to the source and wait for the result to come back, it makes more sense to send those smaller queries down and sharpen the visualisation with the result from each micro-query. Another very important point about Zoomdata is that it is truly self-service. It’s not like Tableau which claims to be self service but then there are certified Tableau developers. If a visualisation tool is simple enough and really is self-service, you shouldn’t need a certification to learn everything about it. 1- Open Zoomdata UI and login as admin. 3- Give your data source and click next. This is the page where you give the details and credentials to connect to your MemSQL cluster. Fill it up and then click next. 5- The next page has the list of columns and their data types. Zoomdata infers the data types for each column from the data source and you can change them if they don’t match the type of analysis you want to do or if they are not correct. Read more about this tab here. 6- Next tab is where you define how often you would like to refresh the cached data. We don’t need to make any changes here since we’re not caching any data. Click Save & Next. 7- Now we’re on the Charts tab. This tab is used to define the default behaviour of each visualisation type. This means you can define which columns to be used to render each visualisation when they the dashboard opes for the first time (Zoomdata is 100% self service, meaning that users can change the dashboards at the run time without the need for IT or highly technical resources). Another very important and interesting feature of your visualisation dashboard will be defined in this tab as well: the Time Bar. Zoomdata follows a streaming architecture, which enables it to connect in “Live Mode” to any data source capable of real-time data. The technology behind this feature is called Data DVR. Select Ingestion Time from the Time Attribute drop-down. That’s the column we had our MemSQL table partitioned by, remember? This would be the column driving our time bar, and it makes sense to choose it: our real time dashboard needs to be able to get the values from our real time data source based on this column very fast. Click on Enable Live Mode checkbox. Select 1 for Refresh Rate and 1 second for Delay By. The idea is that Zoomdata will look for records added to the data source with 1 second delay. In the next versions of Zoomdata, it’ll be able to support milliseconds delays. I leave finishing the visualisation to you. Below is a short video showing the incredible performance this streaming solution can provide. On the left side of the video I kick off my script that publishes records to Confluent Kafka topics, and it takes less than 3 seconds from that point until the visualisation is updated. Our solution was so simple and easy to implement that I could summarise it in one blog post. And at the same time, it’s capable of providing incredible performance running on 3 servers only (one Confluent, one MemSQL and one Zoomdata). Want to know more about any of these products? Get in touch and let’s have a chat.